Odd to think of moving boxes being environmentally friendly, but they are. Think about it. Most of the boxes these days – unless you are getting moving boxes from the grocery store – are flat and easy to put together. Just slap some packing tape on the bottom and you’re ready to roll. The other point is, easy to make into a box, easy to flatten and recycle the moving boxes when you are done. You can even offer them on any one of the Freecycle.org lists in your state. Hundreds of moving boxes a year are offered and taken on these lists. Might as well contribute to the community and keep things out of the landfill. And let’s face it moving boxes are usually one of the things that most often go to the dump. 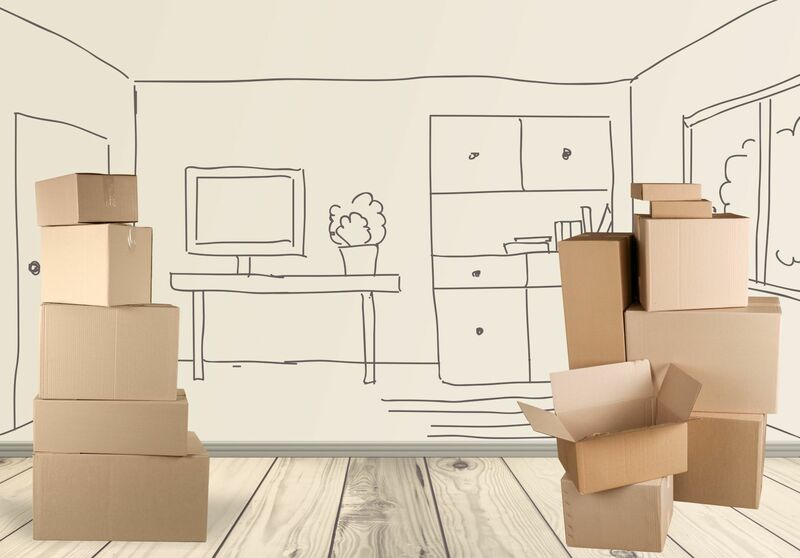 Whether or not you get your moving boxes from the grocery store or buy them from the moving company, you need to get various sizes for various items in your house. Think seriously about getting the proper moving boxes for your fragile items like mirrors or pictures. And, when packing them into the truck – if you are doing the move yourself – use extra sheets and bedding to act as cushioning. Moving boxes should be labeled with what is in them as it is being packed. There is nothing that causes more stress than to arrive at your new home with a ton of unlabeled boxes. You don’t need the headache of trying to play guess what is in the boxes when you’re trying to set up a new home. Here’s a tip you likely would not think about, since most people just pack what they can into whatever they have. Pack the heavier items in smaller boxes and the lighter items in larger boxes. It keeps weights more consistent. Most people tend to put the heavy items in the larger boxes, and we all can relate to what a struggle that is to load later. Another idea to consider is your packing material to use. Many people use newspaper, which works well, but is really dirty. Ask your moving company about buying the paper they use to wrap things. It’s plain cream and comes in large sheets. Or, approach you local newspaper and ask them if the sell their roll ends. It’s an inexpensive way to get tons of newsprint (plain paper on a roll) to use for packing. One other use for boxes, and this works well if you have small children is to save some of them when you get to your final destination, so the kids can make a fort. In fact if you can unpack a few larger boxes first, the kids can play while you set up the kitchen etc.